Game Anthem adventure for 10 years. A few years it took BioWare's studio to release a completely new gaming product with a fantastic storyline. 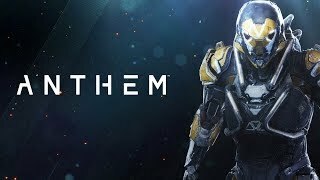 The game Anthem, still under development, stirred up the gaming world, especially after the E3 exhibition in 2017. But the most exciting news is that the authors of the project plan to accompany their offspring over the next 10 years. That's just not clear yet, it will be in the form of additions or individual games as a continuation. The Anthem can be downloaded from 2018, so that developers still have time to flood the universe they have developed with new wonders. You have to settle at a time when the planet was a disaster. And it happened a long time ago, judging by the desolations of the wild lands. People settled in the old ruins of the once great city. Today, they can only maintain them in a condition that is tolerable for life, by protecting them from the “big earth” wall. It is clear that one day a terrible accident happened that destroyed civilization. Only a handful of people survived, and does not live, but survive in this new world. Sometimes they have to get out outside their settlement. For this purpose, special protective suits, equipped with durable armor, have been developed. They completely protect people from the external environment, but what they are more afraid of the atmosphere or the fact that it lives in it is not yet clear. In this role-playing action, there is no shortage of dangerous situations. Daily will have to survive, fight and get out of difficult situations. 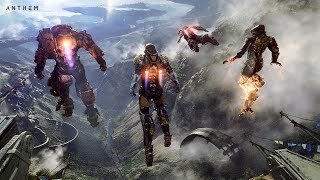 Becoming a mercenary, along with three partners you will go to Anthem to play, exploring the wild nature. It is full of all evil, which is ready at any moment to attack. Leaving the city limits, be careful, because from now on your life is hanging by a thread. Along with the monsters that inhabited the wild jungle, there are many other opponents of the inhabitants of the enemy settlement. They also hunt for rare artifacts that can make life easier in difficult conditions. That's why it’s better to go on a dangerous trip as a team, so that at any moment you can help each other Develop a plan, follow it, and mined items will bring common benefit to all participants in the operation. Separately should be said about the costumes and weapons. The suits, in which the heroes are clothed, are exotics “Javelin”, and are equipped with all the functions for survival in an inhospitable environment. They are of different types, and each is equipped with its own weapon. However, each option can change as it is pumped, and it happens in a familiar way. Use them to upgrade your personal equipment (spacesuit, weapon). The best armored outfit, you will have the opportunity not only to accelerate while running, but also to fly with a jetpack and even dive into the water. Expansion of locations provides tasks that will need to be held in different elements. All what you have to do in Anthem affects you and the environment. Players will face a collision with unusual phenomena, lightning discharges, opening portals in other dimensions and to new planets. What is happening around, fascinates and a little scary. The open world captivates, and the dynamics of what is happening are kept in good shape throughout the game.